Custom pave halo engagement ring handmade in platinum for cushion cut center diamond. 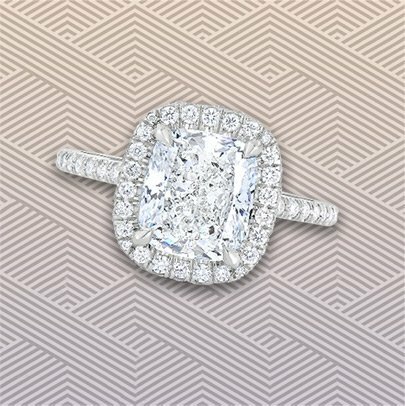 This setting features gracefully curved diamond stems that connect from the band to the underside of the halo. A nice detail that can be incorporated into any design from our Lepozzi handmade collection.